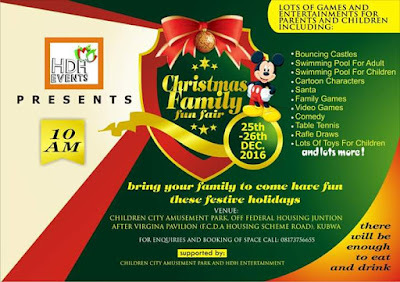 Come with your family and friends to have fun with other families and friends this Christmas and Boxing day. off Federal Housing junction, Kubwa. 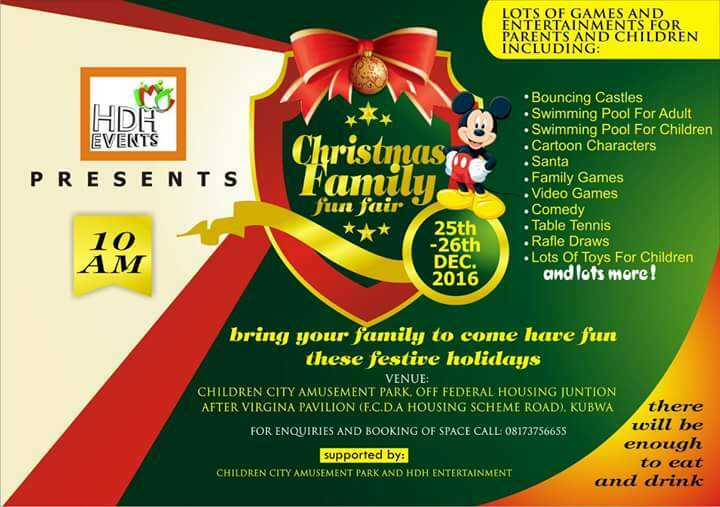 There will be lots of toys and gift for the entire family!